The Incredibles; a movie I had loved when it came out in 2004 and even though it took Pixar 14 years to make its sequel, Incredibles 2, I feel it was worth the wait! 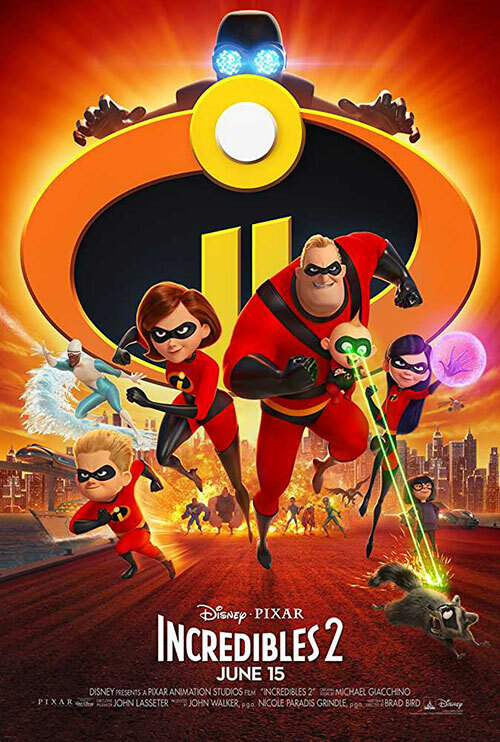 Incredibles 2 starts off where the last movie left off, picking up the pieces of being dysfunctional and quirky Superhero family, in a world where superheroes are banned and frowned upon! This time around though, Mr. Incredible stays at home and looks after the kids, while mom, Elastigirl, listens to police radio, in order to intercept crime and make superheros legal again! What follows is a typical superhero comic book story of fighting crime, coming across a super villain, triumph and eventual discovery, things aren’t what they seem etc. etc.. In fact, if anything, it is pretty easy to guess who the real villain is. However, what really makes this movie interesting is Jack-Jack, the baby of the movie, who will not only win your heart but also make you laugh so heard, actual tears will roll out of your eyes! And the fact that Mr. Incredible i.e. stay at home dad has to take care of this baby with 17 superpowers along with his 2 other siblings, makes it all the more hilarious for the viewers and tiresome for Mr. Incredible. Jack-Jack’s fight sequence with the raccoon was the highlight of the movie for me and everything else is just icing on the cake and makes the movie experience even better. Heck, I really feel Pixar should just make another movie with Jack-Jack getting a much bigger role than in this movie. Overall, Incredibles 2 is an amazing movie and worth a watch, especially in 3D, if you love comedy and cartoons. The story and the direction of Brad Bird need to be applauded when compared to its previous version. This shows the amount of hard work and homework done by the film crew.